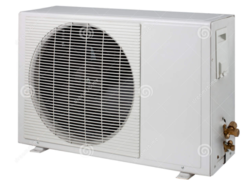 Our firm is dealing in the installation service of Condensing units for Tumble Dryers. The offered condensing units are widely used for the tumble dryers, in the cooling applications. Our delivered condensing units are made from high-grade raw material and components, to provide un-matched heat removal action. The offered condensing units are easily available at very cost effective market rates. Looking for Condensing Units for Tumble Dryers ?